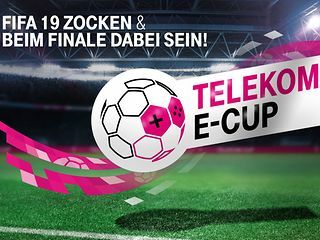 Deutsche Telekom is upping its involvement in eSports by organising a FIFA19 football tournament. Telekom is organising two qualification rounds, each featuring 128 online players competing on Sony PlayStation 4 game consoles. The final will take place as part of the Telekom Cup on January 13 at the Düsseldorf Merkur Spiel-Arena, which will feature teams from FC Bayern Munich, Borussia Mönchengladbach, Fortuna Düsseldorf and Hertha BSCC Berlin. The two winners of the qualifying online tournaments of FIFA19, open to German residents and to be played on the ESL Sports platform, will travel to Düsseldorf to compete in the final. Hiro Kishi, head of sports sponsorship at Deutsche Telekom, said that eSports was becoming “increasingly popular” and offered Telekom the opportunity “to demonstrate our superior network quality and technological know-how”. Telekom has been supporting eSports organisation SK Gaming since the middle of last year and sponsors a team in the League of Legends series.